OMAHA, NEB. 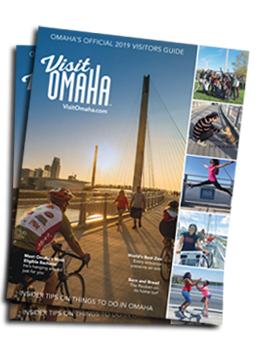 – The Omaha Convention and Visitors Bureau (OCVB) is excited to announce that two of its advertising campaigns, designed to showcase Omaha as a fun and desirable place to visit, have received national and local recognition. The OCVB’s ‘Now Serving Omaha’ video campaign won a national Telly Award. The video series showcases Omaha’s unique contribution to the national food scene. In addition to airing the videos on dozens of websites, the OCVB shares these videos through digital and social media platforms to an audience of more 170,000. Click here to view the ‘Now Serving Omaha’ videos. The Telly Awards honor the very best in film and video productions. The 36th Annual Telly Awards received over 13,000 entries from all 50 states and 5 continents. The OCVB ‘Now Serving Omaha’ campaign also received an ADDY Award from the Nebraska Chapter of the American Advertising Federation. Additionally, the ‘It Happens on Bob’ video campaign won an ADDY Award in the Online/Interactive category. The goal of ‘It Happens on Bob’ is to increase awareness of Omaha as a visitor destination by turning a one-of-a-kind bridge into a personality that connects with people in a fun and creative way. Meet ‘Bob’ here. Both campaigns were produced by the OCVB’s advertising agency, Swanson Russell. “We’re extremely proud to work with such a talented group of people at Swanson Russell,” added Backsen.